Kids of all ages are invited to join us for a hoppin’ good time! 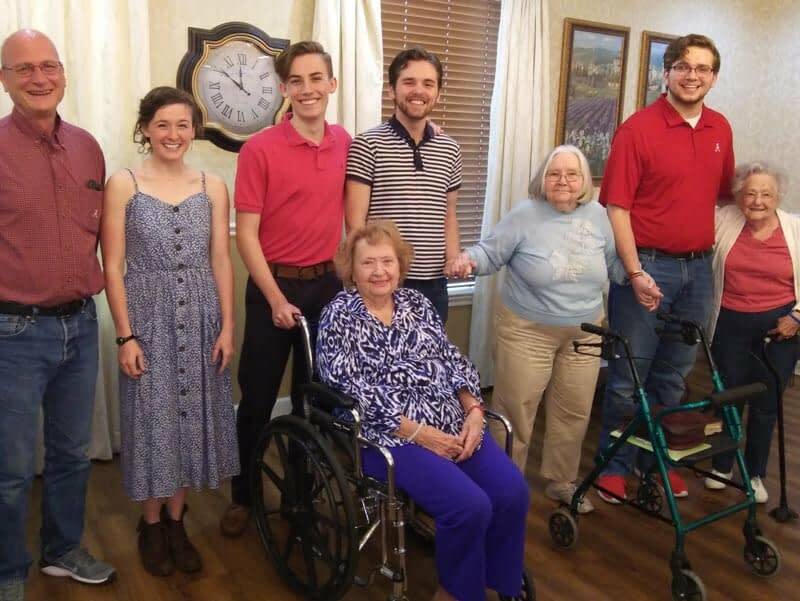 A new partnership was formed as Morning Pointe of Tuscaloosa (AL) received a visit from the University of Alabama Department of Theatre and Dance. Morning Pointe of Tuscaloosa (AL) resident B. Snider receives a pedicure from Shelton State Community College volunteer L. Armstead. Come for a free memory screening in association with the Alzheimer’s Foundation of America. A group of second graders from Crestmont Elementary School in Northport recently stopped by Morning Pointe of Tuscaloosa (AL). Katie Gann and Meredith Green, representing the office of Dr. G. Chad Green, O.D., take a break from cleaning and fitting eyeglasses as part of Morning Pointe of Tuscaloosa’s (AL) “For Your Eyes Only” event.